Here is a map contains territory of Russia. free map of Kurdzhinovo calibrated displayed. map of Verkhniy Beskes here. map of Rozhkao free download. 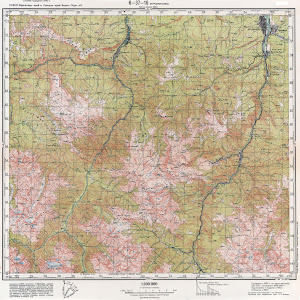 topographic map of Psemen this. detailed map of Nizhniy Beskes with gps calibration this. topographic map of Chernorech'ye this. topographic map of Beskes calibrated for gps. free map of Aziatskiy и OziExplorer calibration presented. free map of Nikitino with gps calibration presented. free map of Damkhurts with gps calibration free download. actual map of Kirovskiy calibrated presented. detailed map of Zakan with gps calibration displayed.